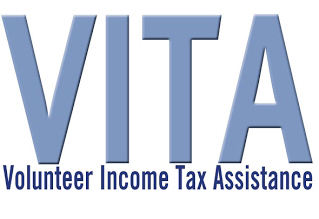 The Volunteer Income Tax Assistance (VITA) program is a free, tax service provided to households that make less than $55,000 per year. Our team of volunteers, supported by full-time staff, are IRS trained and certified and will provide you with the highest quality return possible. If you are interested in benefiting from this service, please call 211 to schedule an appointment. Or if you have general questions, please direct them to vitainfo@micauw.org. The items below are common documents clients are required to bring in order for us to complete your taxes. Please note that you are not required to have all of these documents (i.e. if you were not a student, you will not need forms 1098-E or 1098-T). Prior to your appointment, please review the following list as well as the examples that are available to make sure you have all applicable documents. If you have questions on what documents you will need, or how to fill some of them out please contact us by email at vitainfo@micauw.org or by phone at 517-256-1466.